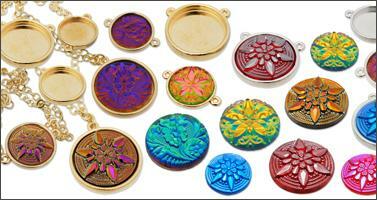 Stunning hand-crafted engraved glass pendants with a timeless kaleidoscope design. A wild effect! 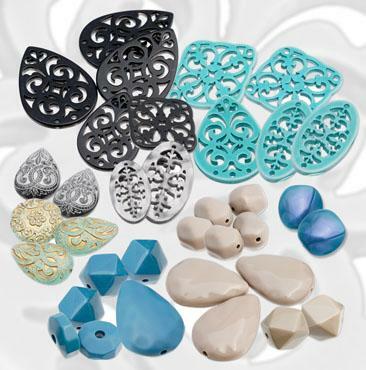 Patinas on colors is a magnificent collection of Swarovski crystals with an animal-print effect. 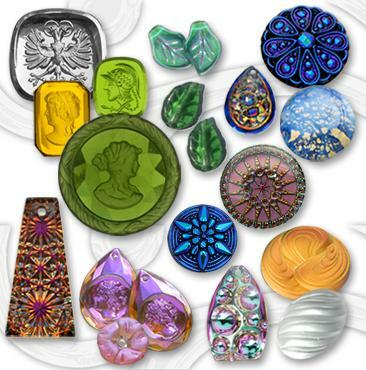 Beautiful handmade glass flatback stones from Europe and locally crafted metal jewelry settings for pendants and bracelets. Seven core colors across a broad selection of popular products. We are the North American Official Distribution Partner for Swarovski Crystal and wholesale supplier to the fashion industry. 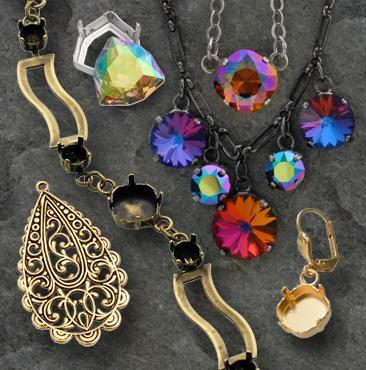 Our product assortment includes the full line of Swarovski crystal products, exclusive Custom Coatings, German hand-crafted glass, European Lucite, European Metal Filigrees, European Metal Settings and Cupchain, and jewelry components. E.H. Ashley is now in its fourth generation as a family owned and operated wholesale supplier to the fashion industry. Founded in 1899, we are located in Rhode Island, the heart of the historic U.S. fashion jewelry industry. Our staff is experienced at working with manufacturers and designers to realize their designs. We have been working with many of the same suppliers for generations, and our long term relationships enable us to offer the best service and delivery possible to our customers. We are the only Swarovski Official Distribution Partner (ODP) in North America, and the oldest continuous Swarovski customer in the world (we placed our first orders with Swarovski in 1934). E.H. Ashley can help you take advantage of all the opportunities available from Swarovski including brand and marketing support, on-trend and technologically advanced products, application support, and trend research, while giving you the personal service of a small company.